Besides editing GoPro Hero Camera footages, GoPro Studio can also edit MOV video files from Canon and Nikon DSLRs but except in Windows 7. In fact, following the guide below you can turn GoPro Studio a universal video editing tool. You can realize to edit MOV video files from Canon and Nikon DSLRs in Windows 8 and Windows 10; and you can import non-GoPro videos like MKV, WMV, AVI, FLV, MXF, MTS to GoPro Studio for editing in Windows/Mac, as well as solve some AVI files fail to import to GoPro Studio issue in Windows/Mac. And GoPro Studio supports importing the following file formats directly for editing in “Step 2: Edit”: GoPro CineForm AVI or MOV files (MOV only on Mac). The following guide will guide you step-by-step to convert any video MOV, MKV, WMV, FLV, MP4, MXF, MTS to H.264 MP4 to import to GoPro Studio in “Step 1: Import & Convert”. Due to codec issue, some AVI files fail to import to GoPro Studio, you can also follow the guide to convert your AVI files and other videos to GoPro Studio supported MOV. How to Convert AVI to H.264 MOV to import to GoPro Studio? Download Pavtube Video Converter (Pavtube Video Converter for Mac). Install and launch the program. Step 1: Input AVI video files. 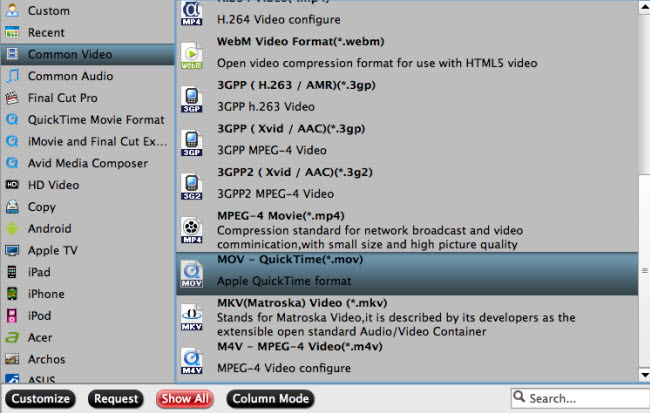 Step 3: Transcode files to QuickTime MOV format. 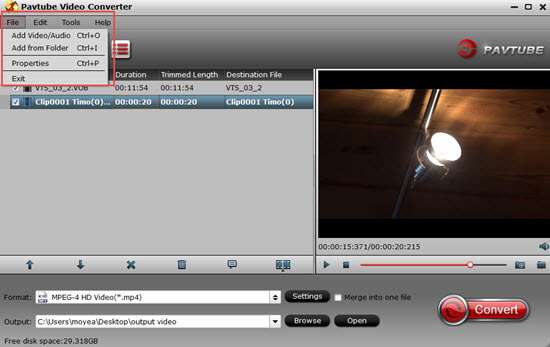 Carry out video to QuickTime Conversion process by clicking the right-bottom “Convert” button. When the conversion is over, click “Open” on the main interface to locate the converted files to transfer and import into the GoPro Studio without any problem.